frankie’s Good Stuff Awards Are Here! 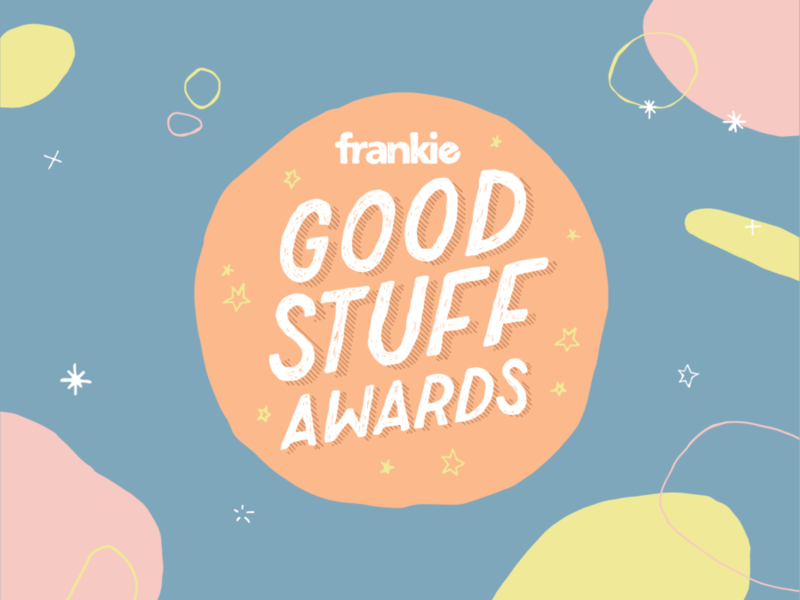 Our fellow creative-supportive friends over at frankie magazine have just launched the Good Stuff Awards! Navigating their third year of uncovering exceptional Australian and NZ talent in a host of creative categories – frankie are handing out pats on the back worth lining up for! With a long list of local legends joining the judging panel (Jeremy Wortsman, Beci Orpin, Lisa Gorman & Marc Fennell to name just a few..) this is one program to throw yourself at Finders Keepers creative community! Joining us on the last leg of our East Coast Tour in Sydney (with so much papery goodness!) we thought it was a good time to catch up with the team behind the Good Stuff Awards over at frankie – and get you some juicy tips on entering while we’re at it! If you’re reading this, chances are you’re a creative kind of person, which means the frankie Good Stuff awards might just be for you. Dreamed up by us here at frankie magazine, the awards are an initiative to give people making and doing cool stuff a bit of a leg up – so, if art, craft, design, photography, videography, entrepreneurship, writing, music or social enterprise are your bag, why not give it a whirl? With an $11,000 prize pool up for grabs, plus a year’s subscription to frankie magazine, a feature in issue 89 and an invite to a special winners’ dinner, there’s not a lot to lose. And the hot tip for getting noticed? Ready to throw your hat in the ring? Why not! We believe in you. Click here and get involved in the frankie Good Stuff Awards 2018.
frankie Good Stuff Awards 2019 from frankie magazine on Vimeo.